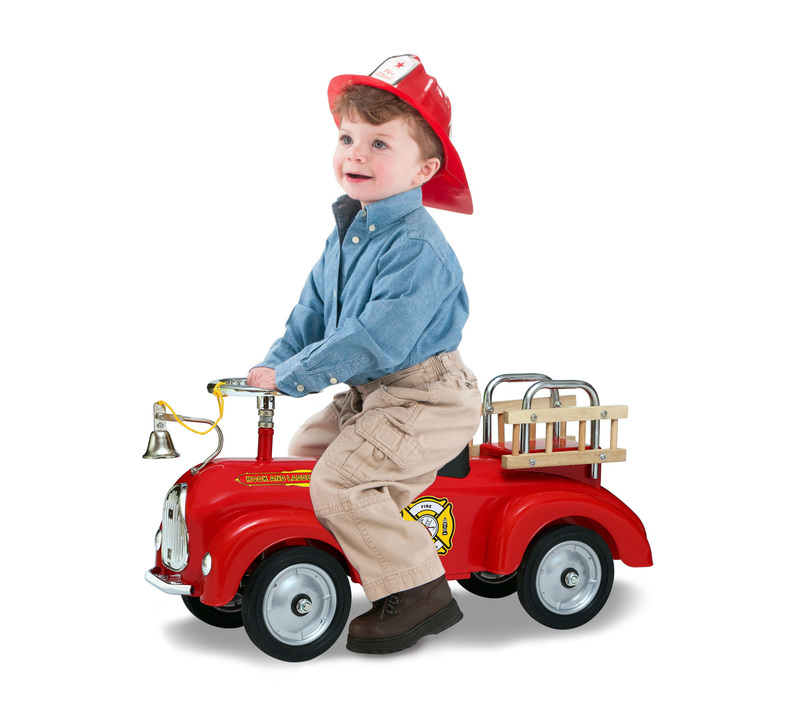 Your little brave firefighter will feel very proud of himself as he scoots-a-long to the rescue! This foot-to-floor ride on toy is made from heavy gauge steel that will stand the test of time. Plastic fenders protect walls and furniture. Finished in a chip and rust resistant, child safe, non-toxic powder coating paint. Has steel wheels with rubber tires. Pedal-free working plastic chrome steering wheel. Has a chrome fire bell and ladder racks with wooden ladders. 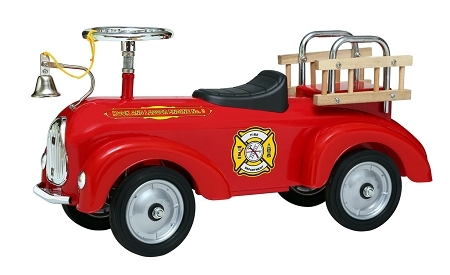 Don't forget our Personalized Fire Engine is the perfect gift!